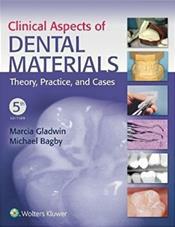 Using a proven pedagogical organization, this updated Fifth Edition of Gladwin and Bagby's market-leading title focuses on providing students with a dental materials background that emphasizes the clinical aspects of dental materials, while also introducing concepts of materials science. The book's three-part structure addresses types of dental materials in the 22 chapters of Part I, includes laboratory and clinical applications (essentially a built-in lab manual) in Part II, and presents 11 case studies in Part III that serve as an overall review and help students strengthen their critical thinking skills when providing patient care. Up-to-date content that reflects the latest advances in dental materials, clinical photos, review questions, and online videos all combine to help students develop the understanding of dental materials they need for successful dental hygiene practice.